​Please feel free to contact Prof. Wujcik [Evan.Wujcik@ua.edu] to obtain final versions of any of the below products for non-commercial academic use. Research Products include authored peer-reviewed journal articles, patents, and invited book chapters. Citations are calculated by Google Scholar. h-index is the largest number h such that h publications have at least h citations [Hirsch, 2005], as calculated by Google Scholar. i10-index is the number of publications with at least 10 citations, as calculated by Google Scholar. m-value is the rate of increase of the h-index, showing a researcher's productivity and impact over the time they have been producing research products. It is calculated by dividing an author's h-index by the number of years since the author's first publication [Hirsch, 2005]. Here-originally devised for physicists, "a value of m ≈ 1, characterizes a successful scientist. A value of m ≈ 2, characterizes outstanding scientists, likely to be found only at the top universities or major research laboratories. A value of m ≈ 3 or higher, characterizes truly unique individuals." 41.​ Doan, Linh, Yang Lu, Megha Karatela,+ Vu Phan,+ Clayton Jeffryes,* Tracy Benson,* Evan K. Wujcik. * “Surface Modifications of Superparamagnetic Iron Oxide Nanoparticles with Polylactic Acid-Polyethylene Glycol Diblock Copolymer and Graphene Oxide for a Protein Delivery Vehicle.” Engineered Science (2019): ACCEPTED 4/2/2019. 40. Zhao, Junkai, Shengsong Ge,* Yanling Pan, Rujin Li, Wei Xie, Vignesh Murugadoss, Yang Lu, Evan K. Wujcik, Qian Shao, Tingting Wu, Duo Pan, Xianmin Mai,* Zhanhu Guo. 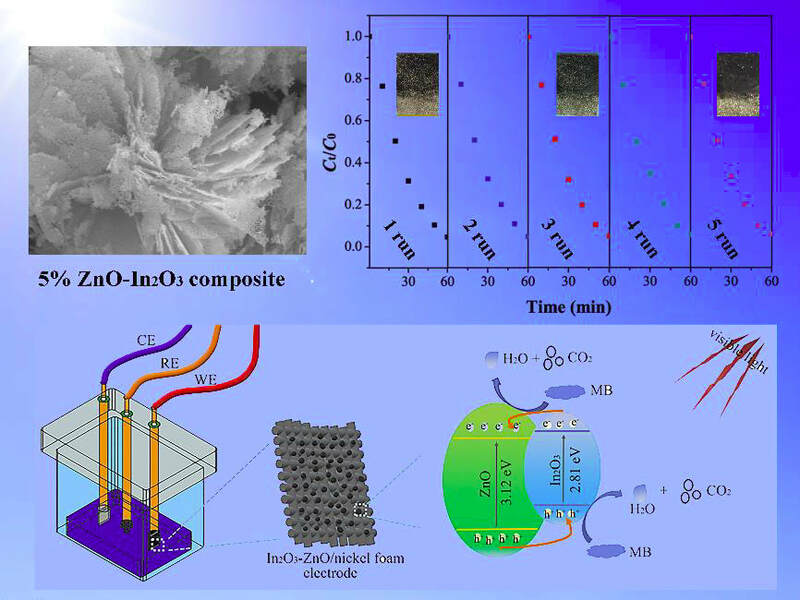 * “Microwave Hydrothermal Synthesis of In2O3-ZnO Composites and their Enhanced Photoelectrochemical Properties.” Journal of The Electrochemical Society 166.5 (2019): H3074-H3083. DOI: 10.1149/2.0071905jes​. 39. Song, Bo, Tingting Wang, Hu Liu, Xianmin Mai,* Xiaojing Wang, Yang Lu, Li Wang, Ning Wang, Yudong Huang, Evan K. Wujcik, Zhanhu Guo. 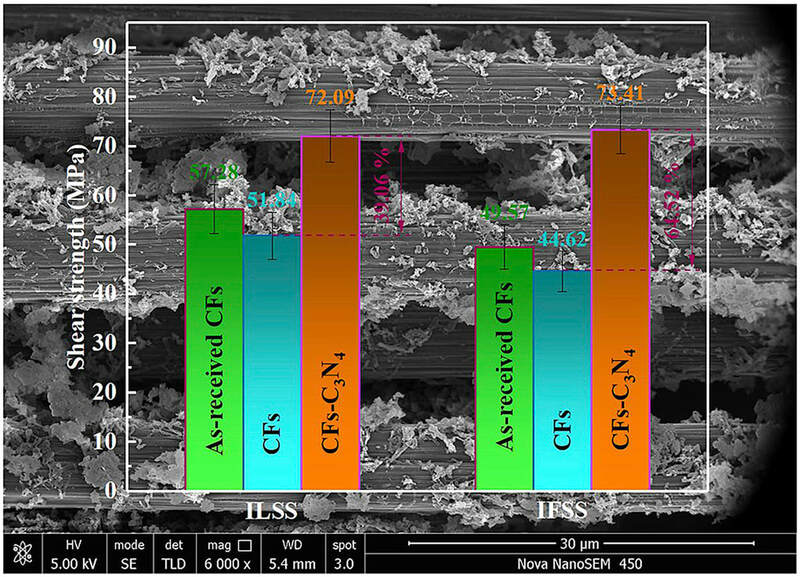 * “Interfacially Reinforced Carbon Fiber/Epoxy Composite Laminates via in-situ Synthesized Graphitic Carbon Nitride (g-C3N4).” Composites Part B: Engineering 158 (2019):​ 259-268. DOI: 10.1016/j.compositesb.2018.09.081. 38. Idrees, Muhammad, Saima Batool, Jie Kong*, Qiang Zhuang, Hu Liu, Qian Shao, Na Lu, Yining Feng, Evan K. Wujcik, Qiang Gao, Tao Ding*, Renbo Wei*, Zhanhu Guo. 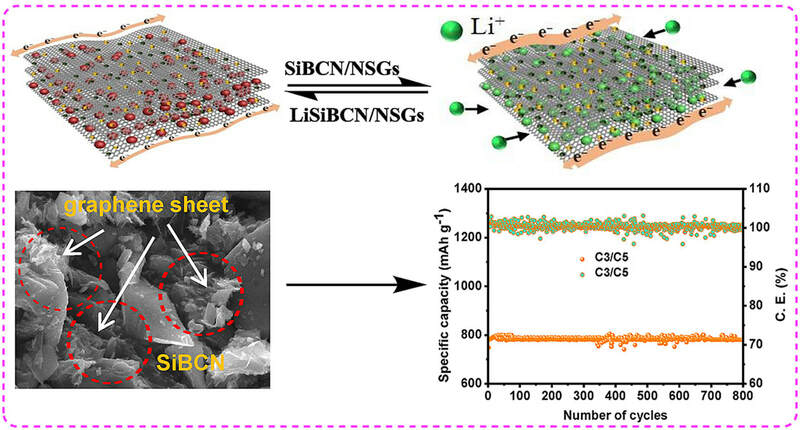 * “Polyborosilazane derived ceramics - Nitrogen sulfur dual doped graphene nanocomposite anode for enhanced lithium ion batteries.” Electrochimica Acta 296 (2019): 925-937. DOI: 10.1016/j.electacta.2018.11.088. 37. Dong, Mengyao, Qiang Li, Hu Liu,* Chuntai Liu,* Evan K. Wujcik, Qian Shao, Tao Ding,* Xianmin Ma,* Changyu Shen, and Zhanhu Guo. * “Thermoplastic Polyurethane-Carbon Black Nanocomposite Coating: Fabrication and Solid Particle Erosion Resistance.” Polymer 158 (2018): 381-390. DOI: 10.1016/j.polymer.2018.11.003. 36. Wang, Bin, Tingting Wu, Subramania Angaiah, Vignesh Murugadoss, Jong-Eun Ryu, Evan K. Wujcik, Na Lu, David P. Young, Qiang Gao and Zhanhu Guo. * “Development of Nanocomposite Adsorbents for Heavy Metal Removal from Wastewater​.” ES Materials & Manufacturing 2 (2018): 35-44. DOI: 10.30919/esmm5f175​. 35. Wei, Huige,* Junhui Ma, Yapeng Shi, Dapeng Cui, Mingzhu Liu, Na Lu, Ning Wang, Tingting Wu, Evan K. Wujcik and Zhanhu Guo. * “Sustainable Cross-linked Porous Corn Starch Adsorbents with High Methyl Violet Adsorption.” ES Materials & Manufacturing 2 (2018): 28-34. DOI: 10.30919/esmm5f162. 34. [Invited Article in Special Issue entitled: Biosensors 2018] Lu, Yang, Manik Chandra Biswas, Zhanhu Guo, Ju-Won Jeon,* Evan K. Wujcik. * “Recent Developments in Bio-monitoring via Advanced Polymer Nanocomposite-based Wearable Strain Sensors.” Biosensors and Bioelectronics 123 (2018): 167-177. DOI: 10.1016/j.bios.2018.08.037. 33. Liu, Xianhu, Yamin Pan,* Guoqiang Zheng, Hu Liu, Qiang Chen, Mengyao Dong, Chuntai Liu,* Jiaoxia Zhang, Ning Wang, Evan K. Wujcik, Tingxi Li, Changyu Shen,* Zhanhu Guo. * “Overview of the Experimental Trends in Water‐Assisted Injection Molding.” Macromolecular Materials and Engineering 303.8 (2018):​ 1800035. DOI: 10.1002/mame.201800035. 32. Ma, Yong,* Mingliang Ma, Xunqian Yin, Qian Shao, Na Lu, Yining Feng, Yang Lu, Evan K. Wujcik, Xianmin Mai, Chao Wang, Zhanhu Guo. * “Tuning polyaniline nanostructures via end group substitutions and their morphology dependent electrochemical performances” Polymer 156 (2018): 128-135. DOI: 10.1016/j.polymer.2018.09.051. 31. Du, Huayun, Cindy Xinxin Zhao, Jing Lin,* Jiang Guo, Bin Wang, Zhen Hu,* Qian Shao, Duo Pan, Evan K. Wujcik, Zhanhu Guo. * “Carbon Nanomaterials in Direct Liquid Fuel Cells.” The Chemical Record 18.9 (2018):​ 1365-1372. DOI: 10.1002/tcr.201800008​. 30. Lv, Longfei, Jiurong Liu,* Chaobo Liang, Junwei Gu,* Hu Liu, Chuntai Liu,* Yang Lu, Kai, Sun, Runhua Fan, Ning Wang, Na Lu, Zhanhu Guo,* Evan K. Wujcik. * “An Overview of Electrically Conductive Polymer Nanocomposites toward Electromagnetic Interference Shielding​.” Engineered Science 2 (2018): 26-42. DOI: 10.30919/es8d615​. 29. [Communication] Wang, Chao,* Zhenfeng He,* Xiaofeng Xie,* Xianmin Mai, Yingchun Li, Tingxi Li, Min Zhao, Chao Yan, Hu Liu, Evan K. Wujcik, Zhanhu Guo. * “Controllable Crosslinking Anion Exchange Membranes with Excellent Mechanical and Thermal Properties.” Macromolecular Materials and Engineering 303.3 (2018): 1700462. DOI: 10.1002/mame.201700462. 28. Xu, Miaojun, Kun Ma, Dawei Jiang, Jiaoxia Zhang, Min Zhao, Xingkui Guo, Qian Shao, Evan K. Wujcik, Bin Li,* Zhanhu Guo. 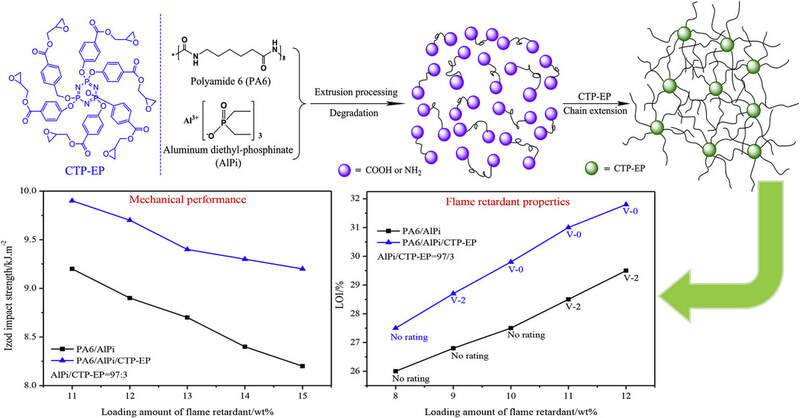 * “Hexa-[4-(glycidyloxycarbonyl) phenoxy]cyclotriphosphazene chain extender for preparing high-performance flame retardant polyamide 6 composites.” Polymer 146 (2018): 63-72. DOI: 10.1016/j.polymer.2018.05.018. 27. Aceto, Stephanie R., Yang Lu, Rhada Narayanan, David Heskett, Evan K. Wujcik,* Arijit Bose. * “Hexagonally Patterned Mixed Surfactant Room Temperature Synthesis of Titania-Lead Selenide Nanocomposites.” Advanced Composites and Hybrid Materials 2 (2018): 389-396. DOI: 10.1007/s42114-018-0028-3. 26. Kong, Yufei, Yingchun Li,* Guosheng Hu, Jing Lin,* Duo Pan, Dongyao Dong, Evan K. Wujcik, Qian Shao, Minjian Wu, Jizhang Zhao, Zhanhu Guo. * “Preparation of Polystyrene-b-poly(ethylene/propylene)-b-polystyrene Grafted Glycidyl Methacrylate and its Compatibility with Recycled Polypropylene/Recycled High Impact Polystyrene Blends.” Polymer 145 (2018): 232-241. DOI: 10.1016/j.polymer.2018.05.017. 25. Pan, Yamin, Dirk W. Schubert, Jong Eun Ryu, Evan K. Wujcik, Chuntai Liu, Changyu Shen, Xianhu Liu. 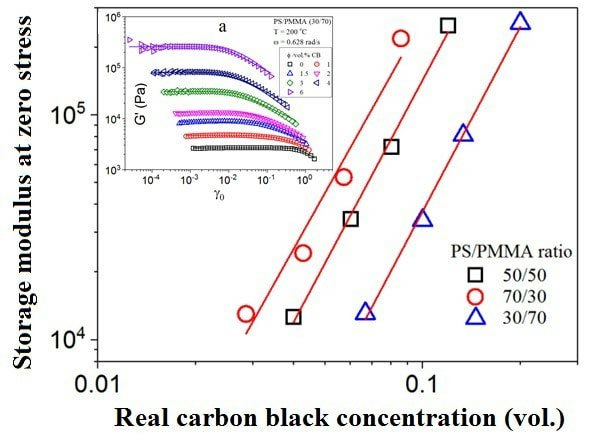 * “Dynamic Oscillatory Rheological Properties of Polystyrene/Poly(methyl methacrylate) Blends and their Composites in the Presence of Carbon Black.” Engineered Science 1 (2018): 86-94. DOI: 10.30919/es.180402. 24. Wang, Chao,* Biming Mo, Zhenfeng He,* Qian Shao, Duo Pan, Evan K. Wujck, Jiang Guo,* Xinling Xie, Xiaofeng Xie,* Zhanhu Guo. * “Crosslinked Norbornene Copolymer Anion Exchange Membrane for Fuel Cells.” Journal of Membrane Science:​ 556 (2018): 118-125. DOI: 10.1016/j.memsci.2018.03.080. 23. Wang, Chao,* Biming Mo, Zhenfeng He, Xiaofeng Xie,* Cindy Xinxin Zhao, Liqun Zhang, Qian Shao, Xingkui Guo, Evan K. Wujcik, Zhanhu Guo. * “Hydroxide ions transportation in polynorbornene anion exchange membrane.” Polymer 138 (2018): 363-368. 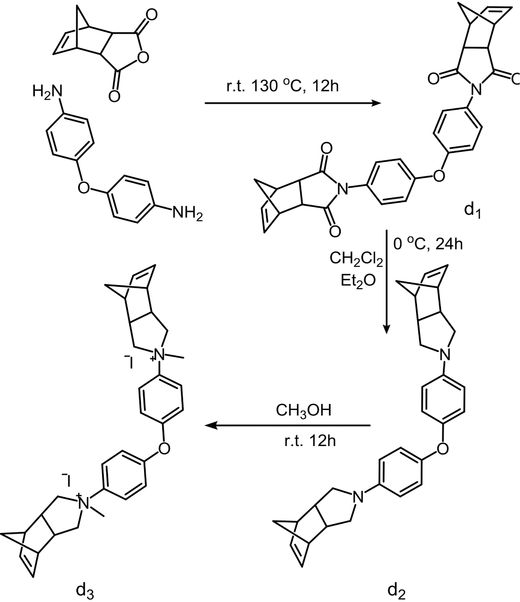 DOI: 10.1016/j.polymer.2018.01.079. 22. Wang, Caifeng, Min Zhaob, Jun Li, Jiali Yu, Shaofan Sun, Shengsong Ge, Xingkui Guo, Fei Xie, Bo Jiang, Evan K. Wujcik, Yudong Huang,* Ning Wang,* Zhanhu Guo. * “Silver nanoparticles/graphene oxide decorated carbon fiber synergistic reinforcement in epoxy-based composites.” ﻿﻿﻿﻿﻿Po﻿﻿l﻿﻿y﻿﻿mer﻿ 131 (2017): 263-271.​​ DOI: 10.1016/j.polymer.2017.10.049. 21. Yu, Guoqiang, Yang Lu, Jiang Guo, Linh Doan, Manisha Patel, Xifan Wang, Bin Qiu, Suying Wei,* Zhanhu Guo* and Evan K. Wujcik. * “Carbon Nanotubes, Graphene, and their Derivatives for Heavy Metal Removal.” ﻿Advanced Composites and Hybrid Materials 1.1 (2017): 56-78. DOI: 10.1007/s42114-017-0004-3. 20. Ma, Yanli, Ling Lyu, Yuanru Guo, Yujie Fu, Qian Shao, Kai Sun, Xingkui Guo, Evan K. Wujcik, and Zhanhu Guo. * “Porous Lignin Based Poly(acrylic acid)/Organo-montmorillonite Composites: Swelling Behaviors and Rapid Removal of Pb(II) Ions.” ﻿﻿﻿﻿﻿Po﻿﻿l﻿﻿y﻿﻿mer﻿ 128 (2017): 12-23.​​ DOI: 10.1016/j.polymer.2017.09.009. 19. 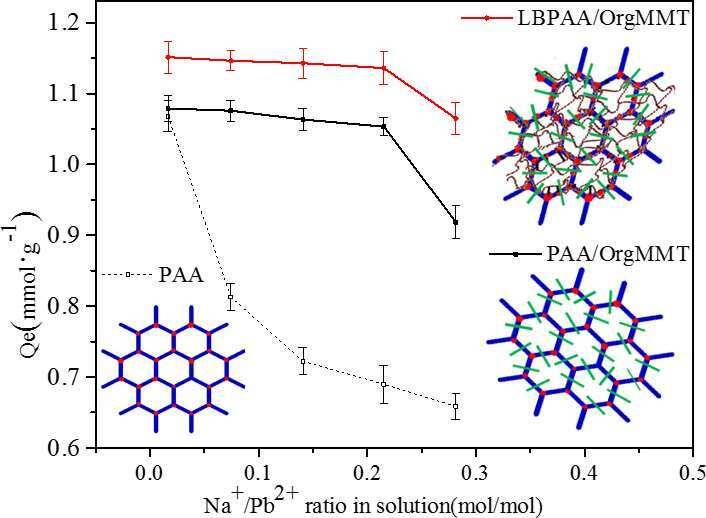 Seemaladinne, Ramanjaneyulu, Sahithya Pati, Krishna Kharel, Adarsh Bafana, Amal Al-Wahish, Evan K. Wujcik, Ozge Gunaydin-Sen.* “Ammonia Borane with Polyvinylpyrrolidone as a Hydrogen Storage Material: Comparison of Different Molecular Weights.” ﻿Journal of Physics and Chemistry of Solids 110 (2017): 394-400. DOI: 10.1016/j.jpcs.2017.05.033. 18. Zhan, Chuanxing, Guoqiang Yu, Yang Lu, Luyan Wang, Evan K. Wujcik, and Suying Wei. * “Conductive Polymer Nanocomposites: A Critical Review of Modern Advanced Devices.” Journal of Materials Chemistry C: Materials for Optical, Magnetic, and Electronic Devices 5 (2017):1569-1585. DOI: 10.1039/C6TC04269D. 17. 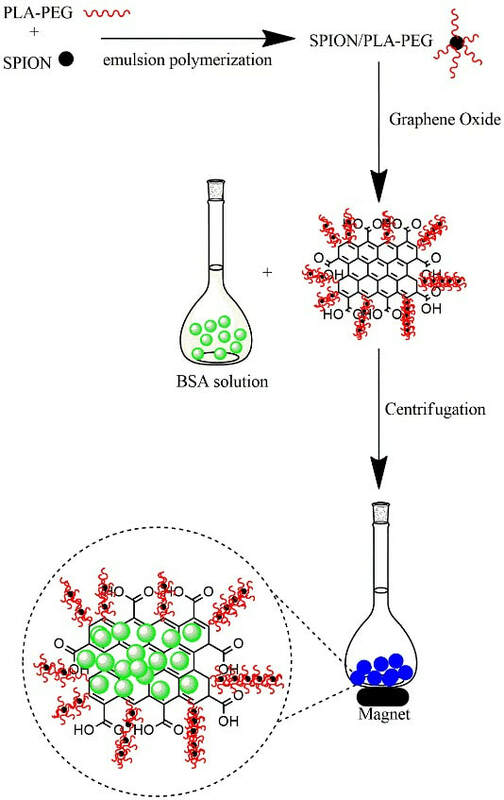 Kharel, Krishna, Radhika Gangineni, Lauren Ware, Yang Lu, Evan K. Wujcik, Suying Wei, Ozge Gunaydin-Sen.* "Dehydrogenation properties of ammonia borane–polyacrylamide nanofiber hydrogen storage composites.” Journal of Materials Science 52.9 (2017): 4894-4902. DOI: 10.1007/s10853-016-0724-8. 16. Bafana, Adarsh Pradip, Xingru Yan, Xin Wei,+ Manisha Patel,+ Zhanhu Guo,* Suying Wei,* Evan K. Wujcik. 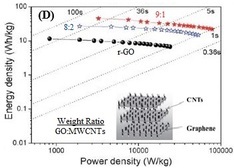 * “Polypropylene Nanocomposites Reinforced with Low Weight Percent Graphene Nanoplatelets” Composites Part B: Engineering 109 (2017): 101-107. DOI: 10.1016/j.compositesb.2016.10.048. 15. [Invited Research Article] Wujcik, Evan K.,* Stephanie R. Aceto, Rhada Narayanan, Arijit Bose. * “Self-Assembly of Lead Selenide Nanostructures Organized Across Multiple Length Scales and Dimensions.” Journal of Nanomaterials​ 2016 (2016): 1-6. DOI: 10.1155/2016/9575839. 14. Rodriguez, Alvaro A., Chelsea N. Monty,* Christopher M. Miller, Hongbo Cong, and Evan K. Wujcik. "Laboratory techniques for evaluating the effectiveness of salt neutralizers for the corrosion prevention of winter maintenance equipment." Anti-Corrosion Methods and Mater﻿ials﻿﻿ 63.6 (2016): ​499-507. DOI: 10.1108/ACMM-03-2015-1516. 13. 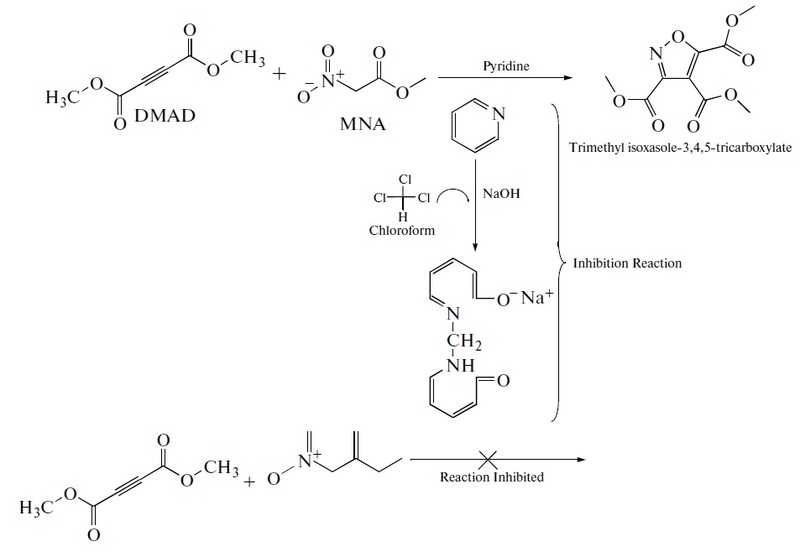 [Invited Article in Special Issue entitled: Biosynthetic Nanoparticles and Nanomaterials for Biotechnological and Biomedical Applications] Dahoumane, Si Amar, Evan K. Wujcik, and Clayton Jeffryes. 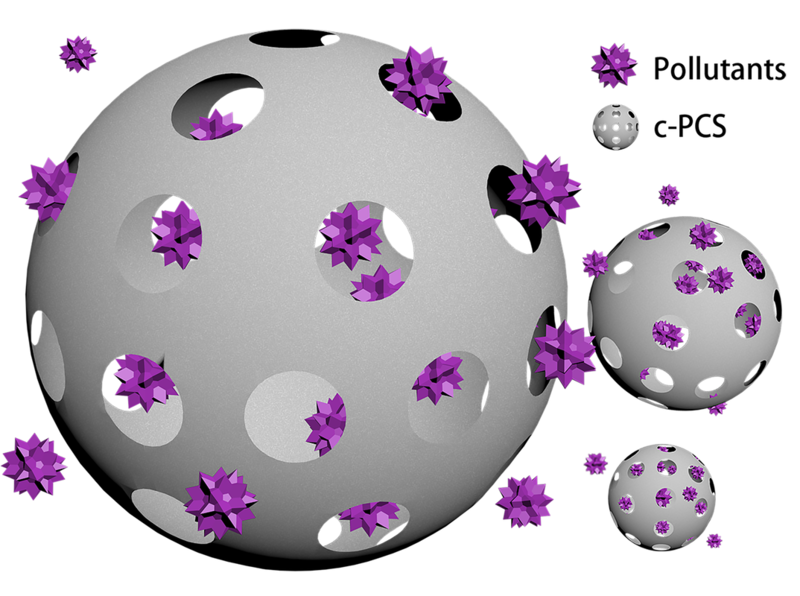 * ﻿﻿"Noble Metal, Oxide, and Chalcogenide-based Nanomaterials from Scalable Phototrophic Culture Systems." Enzyme and Microbial Technology 95 (2016): 13-27. DOI: 10.1016/j.enzmictec.2016.06.008. ﻿﻿12. 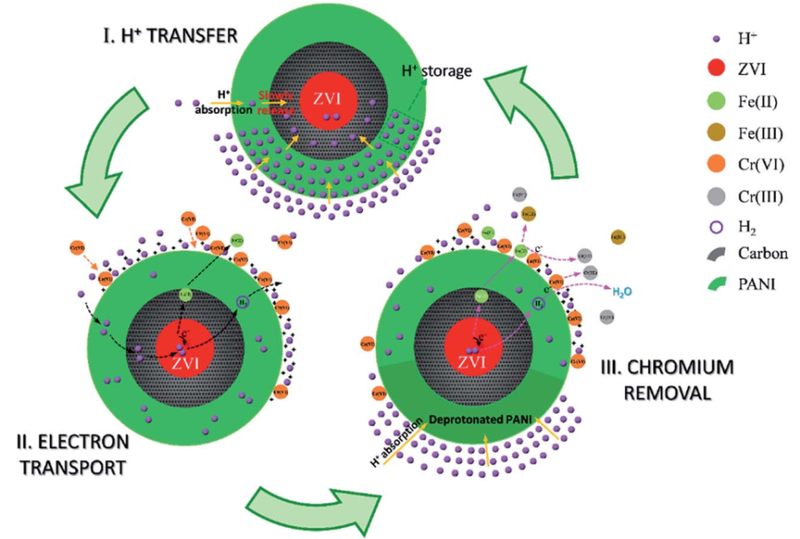 [#8 MOST ACCESSED article in WIRES: Nanomedicine and Nanobiotechnology for 2016] Lu, Yang, Jiangnan Huang, Guoqiang Yu, Romel Cardenas,+ Suying Wei,* Evan K. Wujcik,* and Zhanhu Guo. * "Coaxial Electrospun Nanostructures: Applications in Drug Delivery and Tissue Engineering." WIREs: Nanomedicine and Nanobiotechnology 8.5 (2016): 654–677. DOI: 10.1002/wnan.1391. Invited Frontispiece from the MEAN Lab for publication 12. 11. Wujcik, Evan K.,* Stephen E. Duirk, George G. Chase, Chelsea N. Monty. 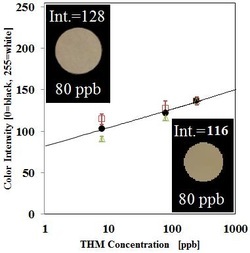 * “A visible colorimetric sensor based on nanoporous polypropylene fiber membranes for the determination of trihalomethanes in treated drinking water.” ﻿Sensors and Actuators B: Chemical﻿ 223 (2016): 1-8. DOI: 10.1016/j.snb.2015.09.004. 10. Afreh, Isaac, Evan K. Wujcik, Nathaniel Blasdel, Benjamin Sauer,+ Susan Kaya,+ Steven Duirk, and Chelsea N. Monty. * “Detection Of Halogenated Organics By Their Inhibitory Action In A Catalytic Reaction Between Dimethyl Acetylenedicarboxylate And 2-Methyl-4-Nitroaniline.” ﻿﻿ ﻿Journal of Analytical Ch﻿emistry﻿ 70.7 (2015): 825-830. DOI: 10.1134/S1061934815070059. 9. [Invited Feature Article] Wujcik, Evan K.,* Stephanie R. Aceto, David Heskett, Arijit Bose. * “Synthesis of Co-Electrospun Lead Selenide Nanostructures within Anatase Titania Nanotubes for Advanced Photovoltaics.” ﻿﻿﻿Fibers﻿﻿ 3.2 (2015): 173-183. DOI: 10.3390/fib3020173. 7. [Invited Article] Sharma, Jaishri, Monira Lizu, Mark Stewart,+ Kyle Zygula,+ Yang Lu, Rajat Chauhan, Xingru Yan, Zhanhu Guo,* Evan Wujcik,* and ﻿﻿Suying Wei. 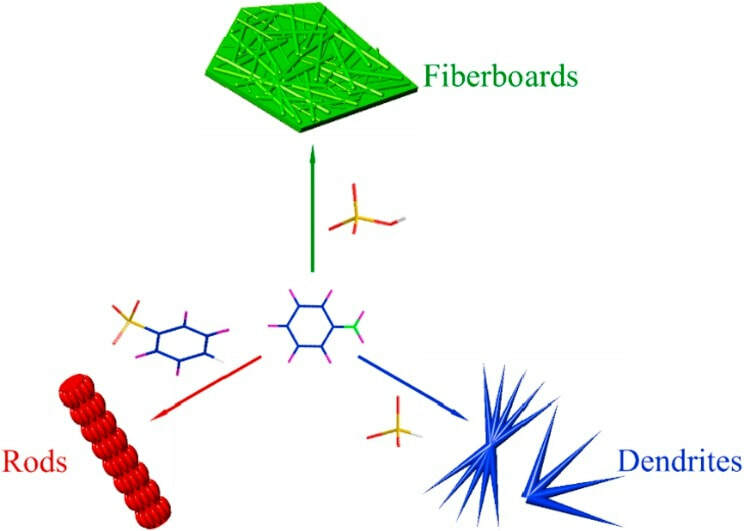 * “Multifunctional Nanofibers towards Active Biomedical Therapeutics.” ﻿﻿﻿Po﻿﻿﻿﻿﻿lym﻿﻿e﻿﻿rs ﻿﻿﻿﻿﻿﻿﻿7.2 (2015): 186-219. DOI: 10.3390/polym7020﻿186. 6. [#5 MOST ACCESSED Full Paper of 2015 in MM&E] Liu, Jie,# Jiangnan Huang,# Evan K. Wujcik,* Bin Qin, Dan Rutman, Enrique Salazar,+ Honglin Qu, Xi Zhang, Xingru Yan, Suying Wei,* and Zhanhu Guo. * “Hydrophobic Electrospun Polyimide Nanofibers for Self-Cleaning Materials.” ﻿Macromolecular Materia﻿﻿l﻿﻿s and Enginee﻿﻿ring﻿ 300.3 (2015): 358-368. DOI: 10.1002/mame.201400307. 5. Blasdel, Nathaniel J., Evan K. Wujcik, Joan Carletta, Kye-Shin Lee, and Chelsea N. Monty. 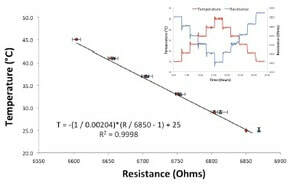 * "Fabric Nanocomposite Resistance Temperature Detector" IEEE Sensors Journal 15.1 (2014): 300-306. DOI: ﻿10.1109/JS﻿EN.2014.2341915﻿. 4. Wujcik, Evan K.,* Huige Wei, Xi Zhang, Jiang Guo, Xingru Yan, Neha Sutrave,+ Suying Wei, and Zhanhu Guo. * “Antibody Nanosensors: A Detailed Review.” ﻿﻿RSC Adva﻿﻿nces﻿﻿ 4.82 (2014): 43725-43745. DOI: 10.1039/C4RA07119K. 3. Wujcik, Evan K., Nathaniel Jacob Blasdel, Daniel Trowbridge,+ and Chelsea N. Monty. * “Ion Sensor for the Quantification of Sodium in Sweat Samples.”﻿ ﻿﻿IEEE Sensors J﻿﻿ournal﻿﻿ ﻿13.9 (2013): 3430–3436. DOI:10.1109/JSEN.2013.2257168. 2. [Invited Article] Wujcik, Evan K. and Chelsea N. Monty. 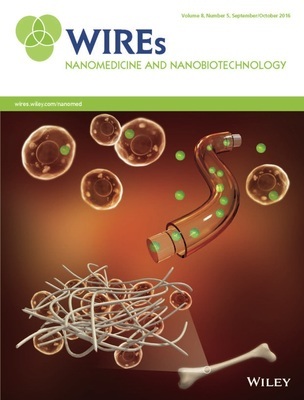 * “Nanotechnology for Implantable Sensors: Carbon Nanotubes and Graphene in Medicine.” ﻿﻿WIREs: Nanomedicine and Nanobiotechn﻿﻿o﻿﻿logy﻿﻿ 5.3 (2013): 233–249. DOI:10.1002/wnan.1213. 1. Wujcik, Evan K., Nicolas J. Londoño, Stephen E. Duirk, Chelsea N. Monty,* and Richard I. Masel. 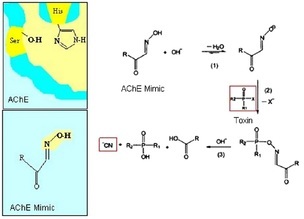 "An Acetylcholinesterase-inspired Biomimetic Toxicity Sensor.” ﻿Chemosphere ﻿﻿91.8 (2013): 1176–1182. DOI:10.1016/j.chemosphere.2013.01.027. 2. Inventors: Evan K. Wujcik, Ju-Won Jeon, and Yang Lu. 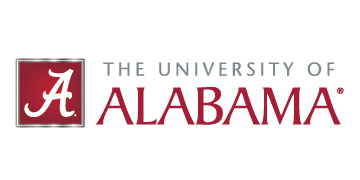 Assignee: The University of Alabama. Self-Healing and Stretchable Polymeric Compositions. Filed: 12/6/2018. ﻿U.S. Patent Application: 62/776,008. 1. Inventors: Chelsea N. Monty, Evan K. Wujcik, and Nathaniel J. Blasdel. Assignee: The University of Akron. 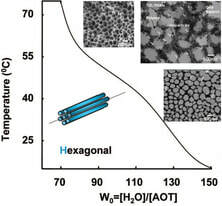 Flexible Electrode for Detecting Changes in Temperature and Sodium Ion Concentration in Sweat. Filed: 1/28/2013, Awarded: 3/28/2017. ﻿U.S. Patent: 9,603,560. 3. [Invited Chapter] Yang Lu, Linh Doan, Adarsh Bafana, Guoqiang Yu, Clayton Jeffryes, Tracy Benson, Suying Wei, and Evan K. Wujcik. 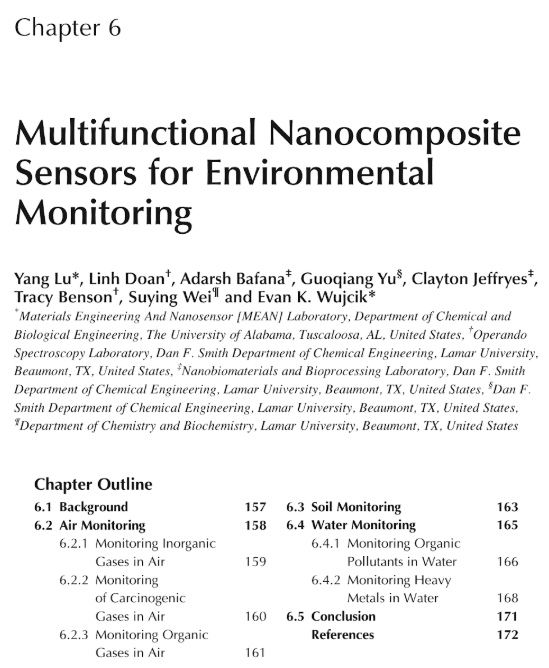 “CHAPTER 6: Multifunctional Nanocomposite Sensors for Environmental Monitoring.” ﻿Polymer-Based Multifunctional Nanocomposites and Their Applications. Elsevier: New York, NY, USA (2018): 157-174. DOI: 10.1016/B978-0-12-815067-2.00006-8. 2. [Invited Chapter] Qingliang He, Xingru Yan, Jiang Guo, Xi Zhang, Huige Wei, Dawei Jiang, Xin Wei, Yiran Wang, Daowei Ding, Suying Wei,* Evan K. Wujcik,* and Zhanhu Guo. 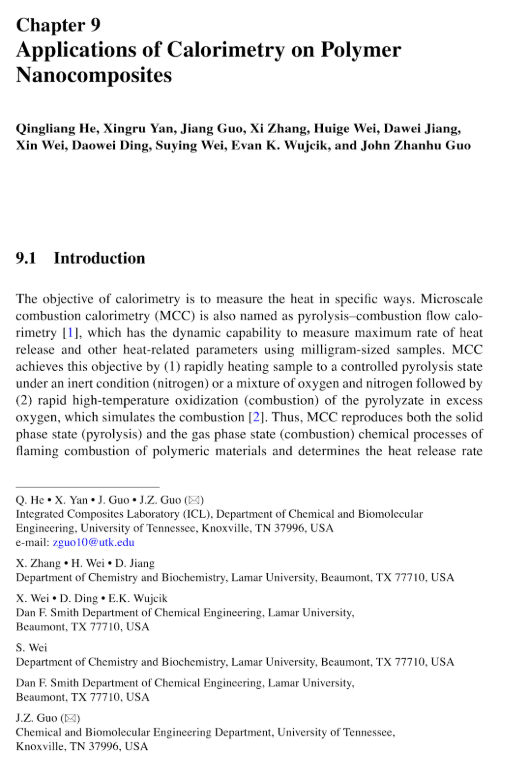 * “Chapter 9: Applications of Calorimetry on Polymer Nanocomposites.” ﻿Polymer Nanocomposites: Electrical and Thermal Properties. Springer International Publishing AG: Cham, Switzerland (2016): 243-254. ISBN: 978-3-319-28236-7. DOI: 10.1007/978-3-319-28238-1_9. 1. [Invited Chapter] Huige Wei, Bin Qiu, Jiang Guo, Yiran Wang, Daowei Ding, Suying Wei, Evan K. Wujcik,* and Zhanhu Guo. 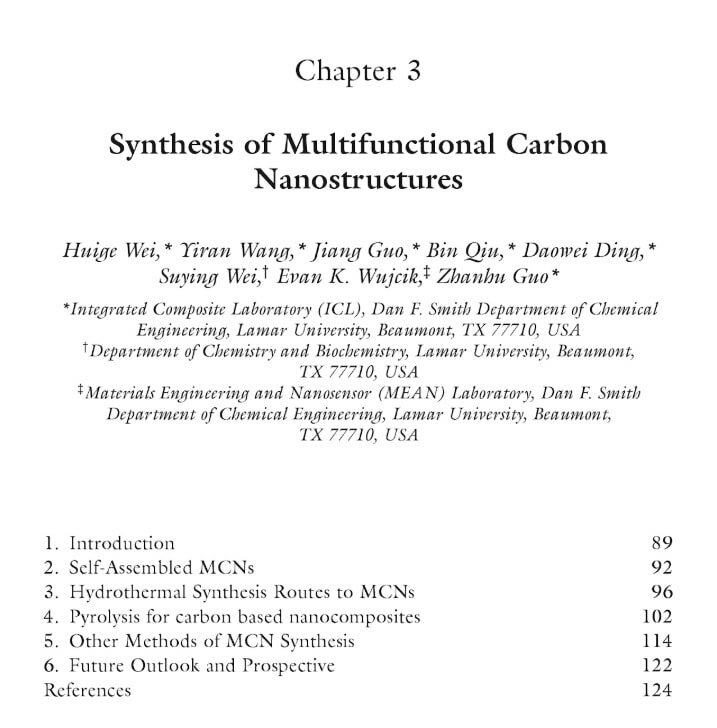 * "Chapter 3: Synthesis of Multifunctional Carbon Nanostructures." 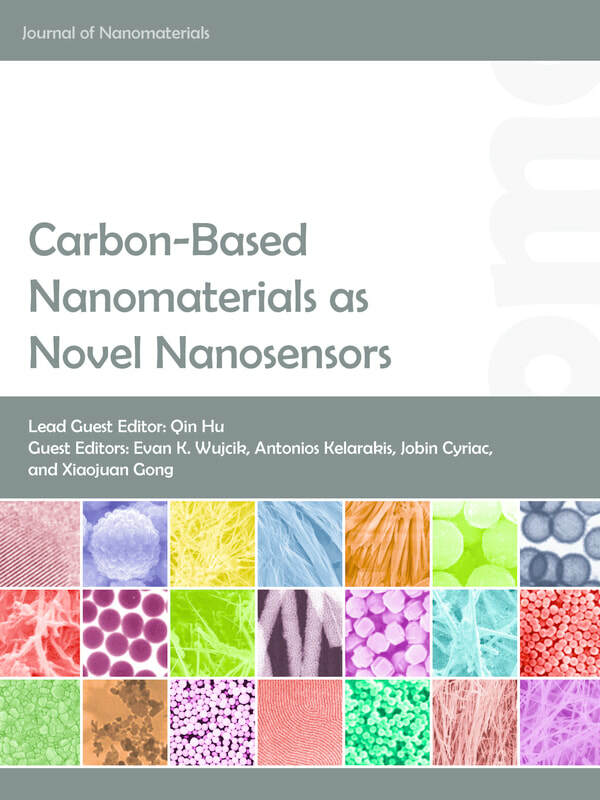 Handbook of Carbon Nanomaterials - Volume 7: Synthetic Developments of Graphene & Nanotubes. World Scientific Publishing, Co., Inc.: Hackensack, NJ, USA (2015): 89-126. DOI: 10.1142/9789814678919_0003. ​2. Wujcik, Evan K., Ju-Won Jeon, and Yang Lu. “Piezoelectric Ultra-Stretchable Strain Sensor with Excellent Linearity and Unique Self-Healing Ability.” Proceedings of IEEE SoutheastCon 2019 (2019). ACCEPTED 1/31/2019. ​1. Wujcik, Evan K. and Yang Lu. “Advanced Nanomaterials for Bio-Monitoring.” Proceedings of IEEE SoutheastCon 2018 (2018). DOI: 10.1109/SECON.2018.8479069​. ​2. [Editorial as Founding Associate Editor in Inaugural Issue] Gu, Hongbo, Chuntai Liu, Jiahua Zhu, Junwei Gu, Evan K. Wujcik, Lu Shao, Ning Wang, Huige Wei, Roberto Scaffaro, Jiaoxia Zhang, Zhanhu Guo. 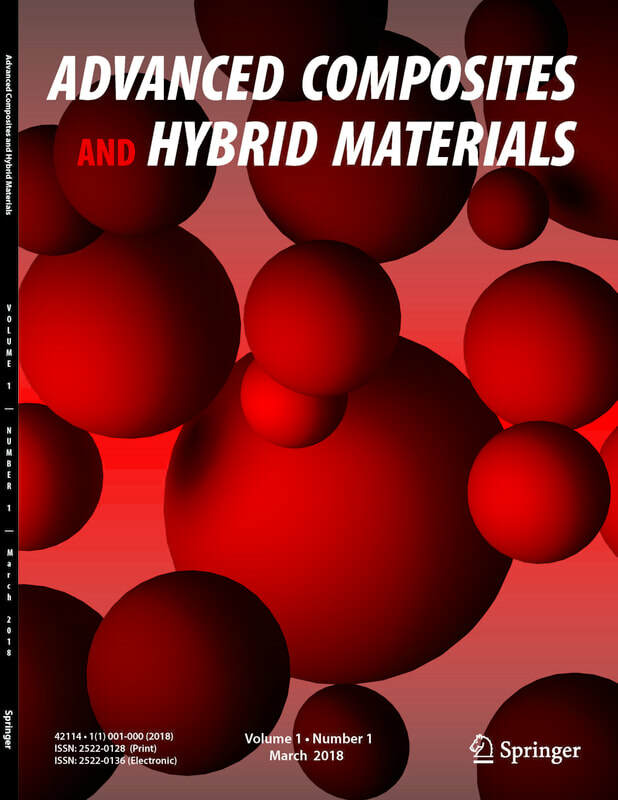 “Introducing advanced composites and hybrid materials.” Advanced Composites and Hybrid Materials 1.1 (2017): 1-5. DOI: 10.1007/s42114-017-0017-y. 1. [Editorial in Guest Edited Special Issue] Qin Hu, Evan K. Wujcik, Antonios Kelarakis, Jobin Cyriac, and Xiaojuan Gong. “Carbon-Based Nanomaterials as Novel Nanosensors.” Journal of Nanomaterials 2017 (2017): 1-2. DOI: 10.1155/2017/3643517.